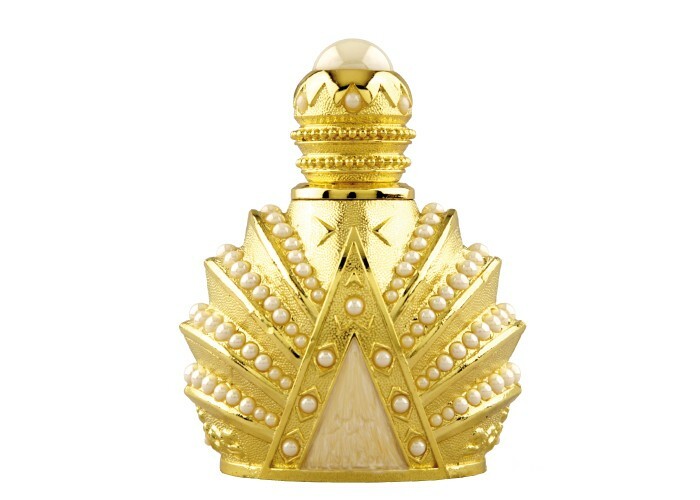 Bahrain Pearl by Al-Rehab is a Floral fragrance for women. The fragrance features jasmine, white rose, orchid, violet, mandarin orange, lemongrass and white musk. This is so gorgeous, and I love this ornate bottle! The orange and lemongrass give a perfect balance to the jasmine and orchid, giving a freshness that is like a breeze blowing off the coast of an island paradise. A beautiful and inexpensive gift, and a great splurge for yourself.